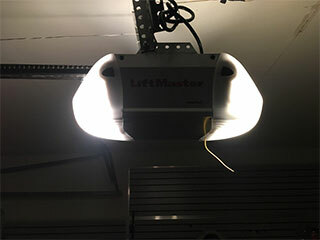 The motor that pushes and pulls your garage door is called the opener. It's a very complex unit, comprised of both mechanical and electrical components. As a result, it can experience all sorts of issues over time, and a professional will be required to handle it. If you experience some type of a malfunction, our team will be happy to help. Unfortunately, as useful as an automatic garage door opener is, it's not without its potential issues. The interior circuit board can start to glitch or its wiring can become frayed. The motor itself can also break, and even parts of the drive system can get damaged, including the trolley and the chain or belt, whichever you have. Our experts know how to safely handle all of these problems, and you can count on us to quickly find and apply a solution to whatever's causing the issue. There will come a time when replacing your old opener will be the only way to go. Sometimes, the end isn't quite near, but the technological advancements that modern models offer make getting a new unit a very appealing option. We can offer you models from all of the major brands, and this includes Genie, Chamberlain and LiftMaster. Once you've found the new unit you want, we'll carry out the opener replacement process and see to it that the new device is set up perfectly. Whether its opener repair services that you require or just to consult with our experts as to which new model is going to be the right fit for your door, we'll be happy to help. Give our team at Garage Door Repair Willowbrook a call and we'll help you with whatever you need.